Sports events are not the easiest to manage. You deal with different kinds of audiences for different types of sports, which makes it a challenge to avoid fights, accidents, and other violent outcomes. Thus, it’s important to have a system that can help you monitor sales, track admissions to the sports venue, and deliver important information for people to be guided. All these can be achieved with the help of a ticket. Hosting a sports banquet fundraiser any time soon? Raise funds for a good cause by selling tickets to your event. Selling fundraiser tickets for a reasonable price is the fastest way to get people to come to your charity function and show their support. That way, you can see how far along you are to reaching your goal. 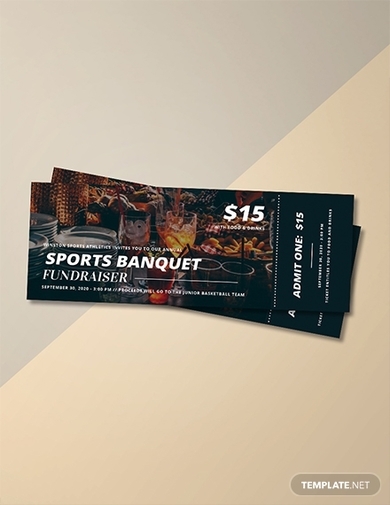 Tickets to these events are often sold for a higher price to help the organization settle the bills required to organize the function, while still making enough to sponsor its cause. A baseball match, whether it’s a minor or major league, attracts hundreds to thousands of spectators every season. With only a limited seating capacity available, you need to make sure attendees don’t overcrowd the bleachers to prevent any accident-prone circumstances. 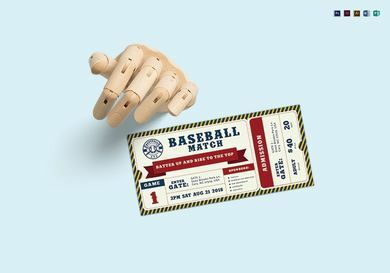 Selling baseball tickets prior to the match is a great way to monitor the number of people who attend the event to make sure every single person is accounted for. The ticket will also let people know which teams are playing at a particular event schedule. Rugby games tend to get rowdy due to the very nature of the sport. Fans can get out of control at times, and it won’t be easy for the guards to settle everyone down once the game starts. For the safety and security of those involved, you can sell sports tickets to your games for those interested to buy. The template provided above also comes with an area for you to insert your own bar code for efficient tracking. It’s difficult to monitor the number of people that come in and out of your venue, especially when tickets aren’t involved to manage the location’s capacity. This can sometimes lead to stampedes and other accidents that could have been prevented if organizers had a ticketing system to establish crowd control. 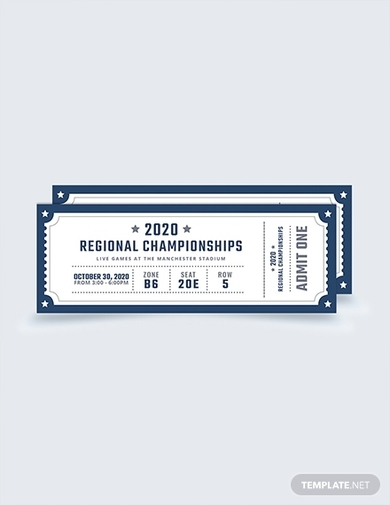 So for large functions such as championship games and all-star tournaments, be sure to have admission tickets prepared for attendees to purchase. Each year, sports events generate millions in revenue thanks to the dedicated fans who’d do anything to see their favorite teams and players live in action. Although event tickets can be quite costly, they still play a valuable role for attendees to secure a spot at the venue and for organizers to track the sales generated from the game more effectively. 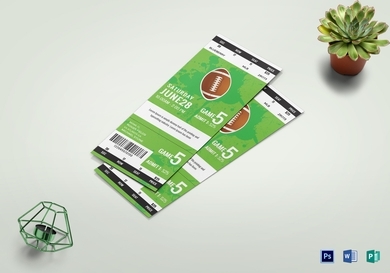 Other than that, a sports event ticket also communicates key information about the game to answer common inquiries that audience members might have. 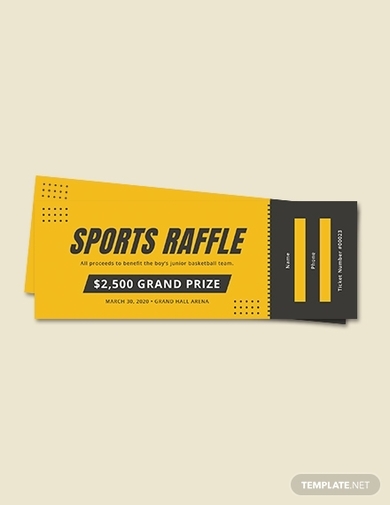 Sports raffle tickets are basically a combination of sports tickets and raffle tickets in one. Raffles are often conducted to sponsor local teams and athletic programs within the community. Proceeds from the tickets sold will be used to sponsor the organization’s beneficiaries for their sports-related campaigns. This will help measure the success of the event by tracking the number of tickets that were sold by the end of each period. These custom-made tickets are designed for special members of the audience whose presence at the event matters. Ticket invitations are usually given to principal sponsors, celebrities, politicians, influencers, and other VIPs who are given the privilege to enjoy courtside seats or VIP box perks at the sports event. Like a regular invitation card, the ticket should contain pertinent information about the event, including the venue, date and time, and the designated seat of the ticket holder. Since some venues can only accommodate a certain number of people at each game, managing your audience should be made a priority. 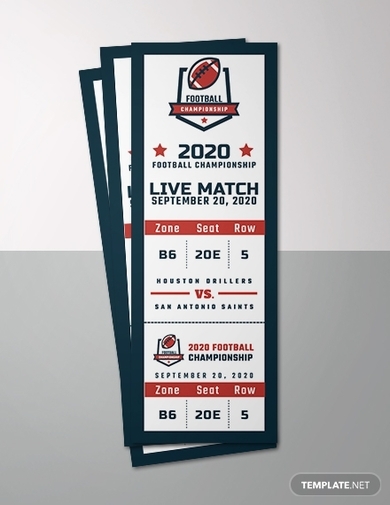 Not only can a tournament ticket help supervise your attendance count, but it can also be used to advertise your sports event through its enticing design. 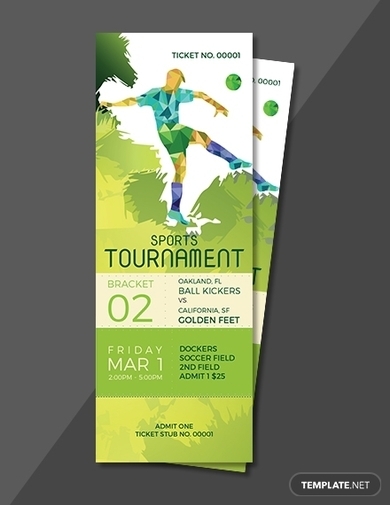 Details of the tournament should be printed in the ticket for attendees to quickly find as well. 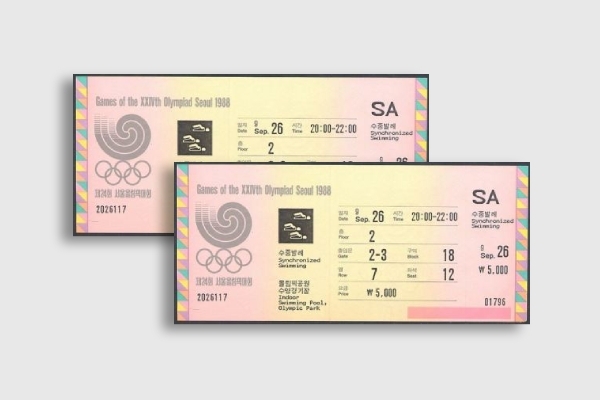 The Olympics is known for its visually pleasing ticket designs that have helped draw in millions of fans from across the globe every season. But because of how Olympic stadiums and arenas are vulnerable to terrorist attacks, protests, and other acts that could jeopardize the whole event, security is made tight. Tickets are designed very meticulously to prevent fake copies from being sold to gullible buyers. The example above shows how tickets are tracked by organizers through unique identifiers that are almost impossible to duplicate. Sports fans are known for being committed and supportive to the teams that represent their colleges and hometowns. Given how sports is also a form of leisure and entertainment to some, friendship tournaments are sometimes held for people to enjoy. Tickets to these events are more affordable than usual, giving fans of every age and background the opportunity to watch and meet their favorite teams for a good price. Tickets play an essential part in the successful management of events. 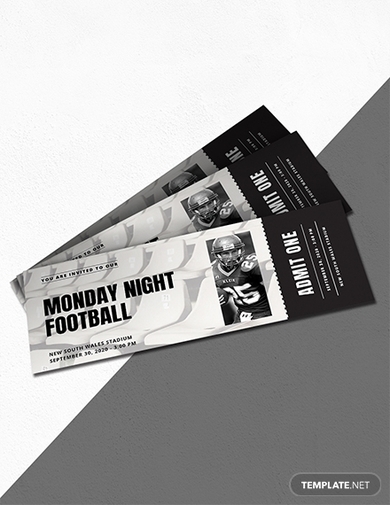 It’s important to make sure your tickets are designed to cater your exact needs through the strategic application of elements to your layout. 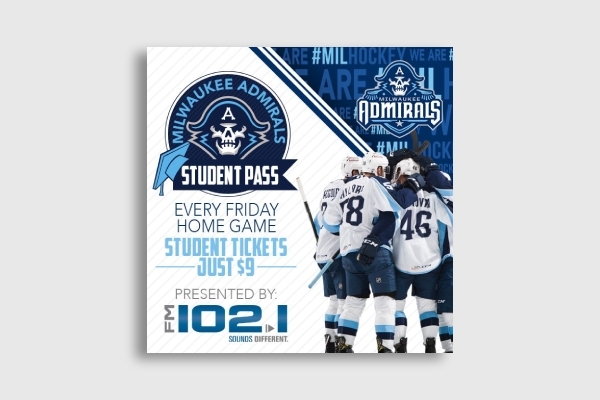 So if you find yourself in need of a sports ticket, feel free to refer to the templates and examples presented above.